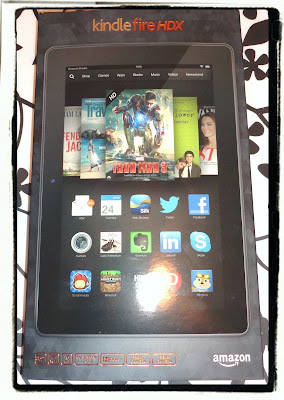 Every year since the original Kindle Fire came out in 2011, I've upgraded to the latest version. I've owned three generations of the Kindle Fire now. (Though I always sell the previous model). The latest is the Kindle Fire HDX 8.9" 16GB . 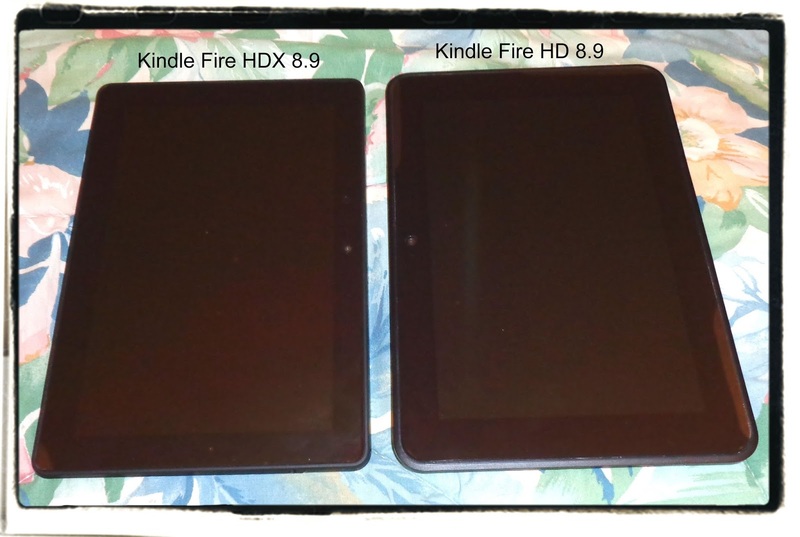 It's faster and lighter than last years Kindle Fire HD. There's also a rear camera now besides the front camera and Amazon has made better placement and size of the power & volume buttons on the HDX. 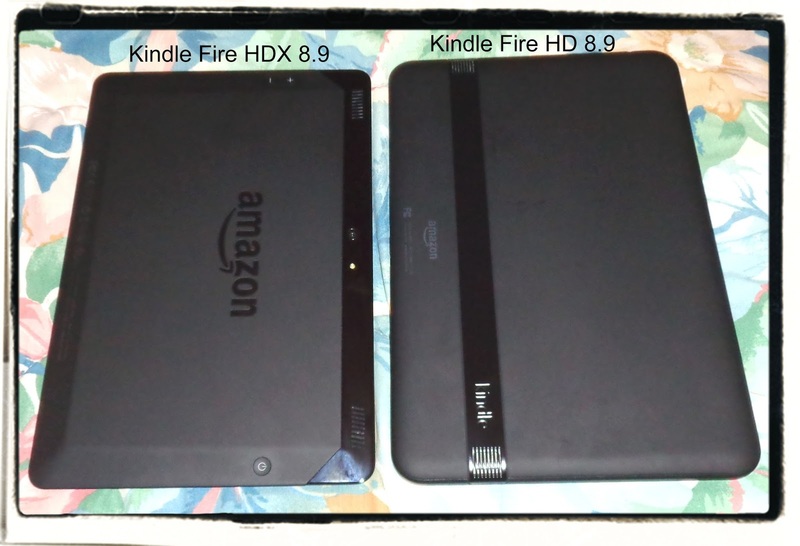 The volume and power buttons are now on the back of the Kindle Fire HDX and much easier to find. 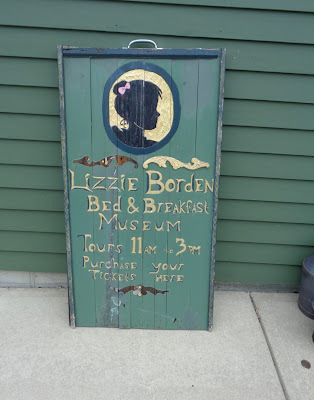 (They were on the edges of the Kindle Fire HD and almost invisible to the naked eye). 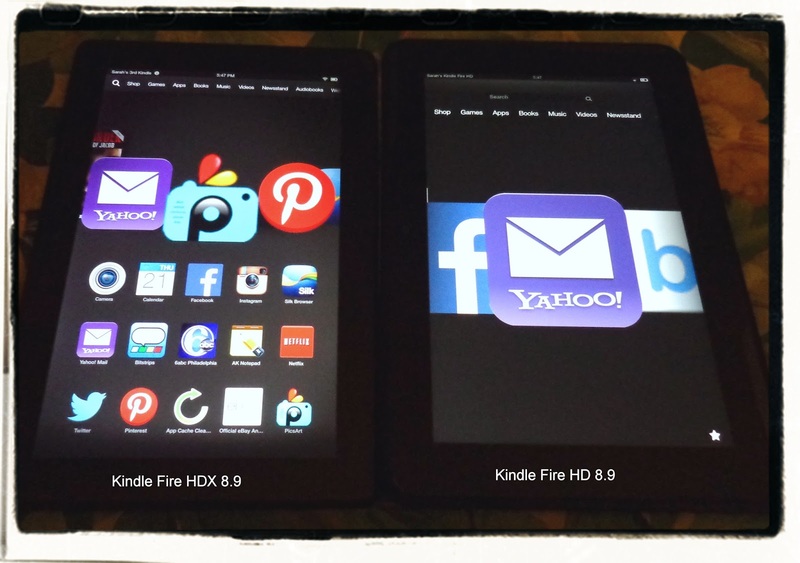 The HDX has a square boxy shape that I don't like as much as the sleek curved shape of last years Kindle Fire HD. I wish the rubber grip finish went around all the edges like it did on the HD. On the HDX there is a plastic part where the speakers & rear camera are. The HDX is incredibly lighter, you can feel the difference when you hold each model in your hands. The Home Screen has also changed. 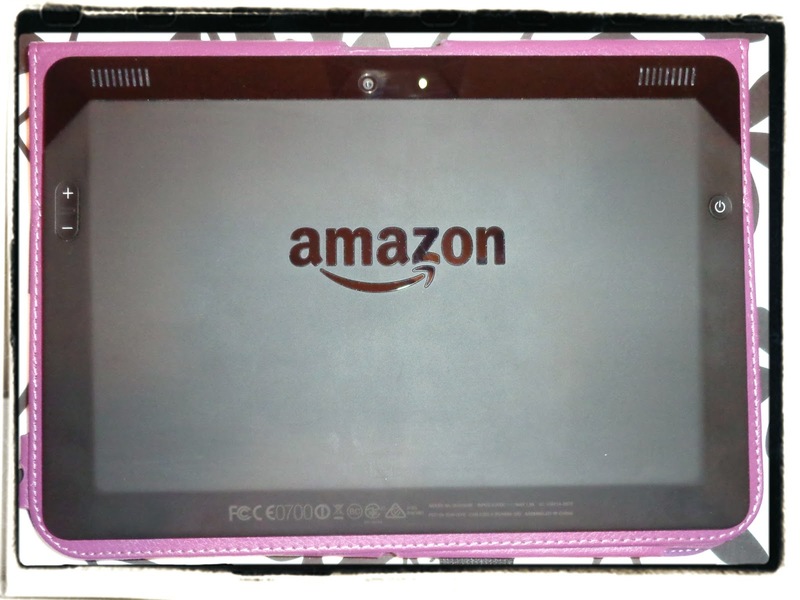 On Kindle Fire HD there was a little star symbol you would press to access your favorites. On Kindle HDX you swipe up from the bottom to access favorites. The new feature isn't as convenient. On the HD If I was on Facebook and wanted to switch apps I would just hit the star to access my favorites. On HDX I have to swipe up- BUT that will only show recently accessed apps... so if you want to switch programs but you haven't recently accessed the app- you will have to go all the way back out to the home screen to your favorites list. 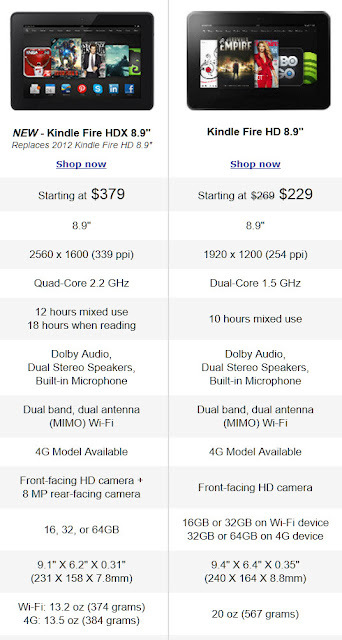 The good features are the power and volume buttons. They are huge on the HDX now. They are located on the back instead of the sides like HD. The rear camera also has a flash. The response time for apps is so much quicker now because of the faster processor and ram. There's literally no lag time switching apps. Typing on the keyboard is more realistic because there's no delay anymore. It's lightning fast. The screen is a little cooler in color than Kindle Fire HD which had a warmer display- that's taking some getting used to for me. But pictures and videos are gorgeous. As always it takes some getting used to when you upgrade. I really do love the Kindle Fire HDX, there's just minor changes from Kindle Fire HD, some good, some different. But all in all I'm pleased with it. App wise: You would think the Amazon App store would have added Instagram since Kindle Fire HDX now has a rear camera... but nope. That still takes some fanangling, but you CAN install Instagram and other Android apps that the Amazon App store might not have. Step 1: Download APK Installer free from the Amazon App store. Step 2: Go to SETTINGS: APPLICATIONS: Then for 'Allow Apps From Unknown Sources' select: ON. Step 3: Go to Silk Browser go to website: www.1mobile.com/app/market/ and download 1MobileMarket store app for free. 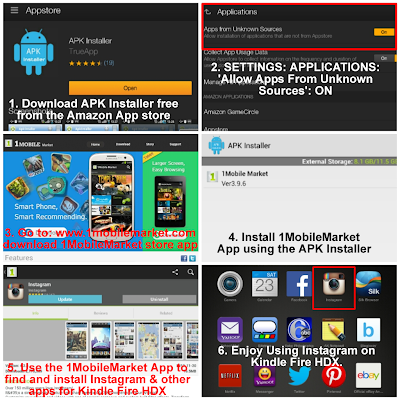 Step 4: Install 1MobileMarket with an APK installer App. Step 5: Use the 1MobileMarket App to find and install Instagram & other Android apps to your Kindle Fire HDX. 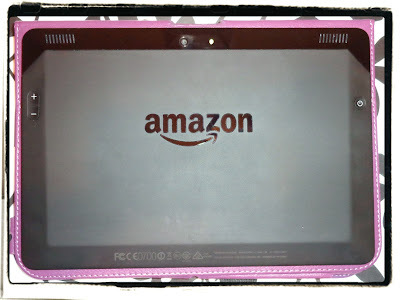 (1st Generation) Jan 2012: I ♥ ♥ ♥ my Kindle Fire! (2nd Generation) Nov 2012: My Kindle Fire HD 8.9 arrived a week early! Yay!